Indonesia, Bali, Badung Regency, South Kuta, Jimbaran, No. South of Depensar in the Cengiling region is Bukit Bowl. 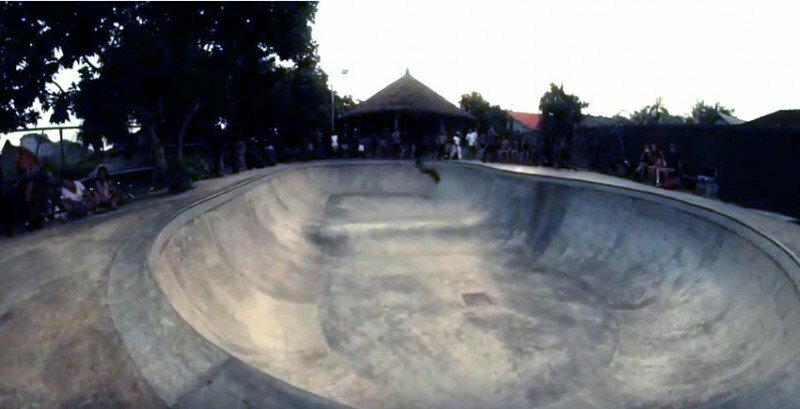 Skating this bowl will be one of the highlights of any trip to Bali. The bowl is part of a small hostel. So if you stay in the hostel you can skate all night long. Deep end is about 6' to 7' and has a light in the middle which makes for a fun a obstacle. The shallow end has some tight transitions. If your into surfing as well several very famous waves like dreamland and ulawatu are close by. Very worth it to spend at least a night!